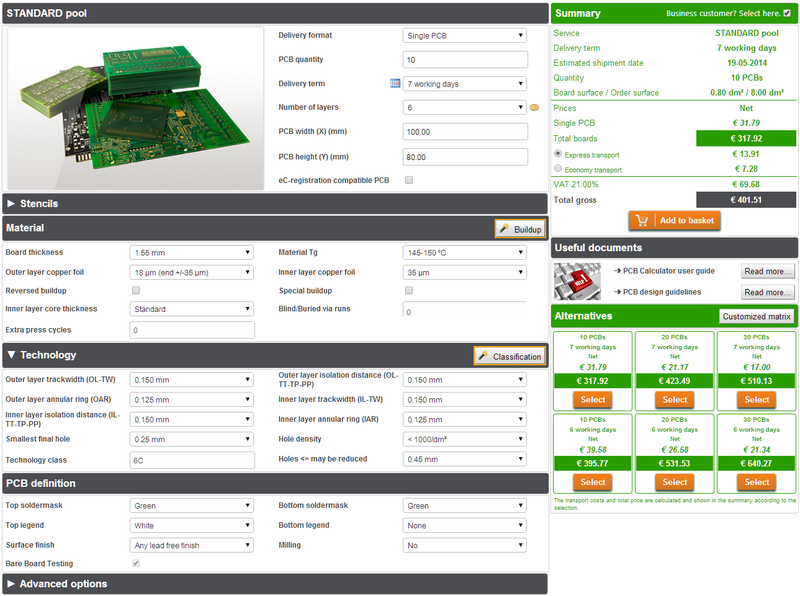 How to achieve an ideal PCB Design flow by using the Eurocircuits smart menus ? Helping our electronics design customers to define the best PCB layout flow possible and thus save time, avoid communication problems and achieve the best price and reliability for their PCB, is our goal. 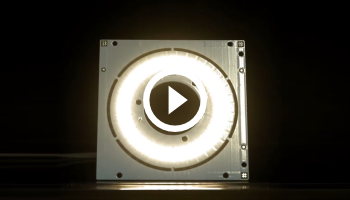 To achieve this goal, we have created smart menus and PCB visualization tools. Our BLOG contains an online presentation and a movie. The Eurocircuits price calculator is based upon the technology of our PCB Configurator software – part of the PCB Visualization tools on our website. You can use the calculator with or without data. Even without attaching data, you will have the complete Eurocircuits service at your finger tips including all technical validation rules that apply when choosing different technical options for your board. Build-up wizard: including more than 700 pre-defined build-ups including blind and buried via combinations. Technical validation: around 300 rules are built into the smart menus to help you to choose only those combinations of options that are viable. All violations are explained and possible corrections proposed. If these are not clear or or do not meet your requirements, you can always get help from our engineers by using the “launch inquiry” option. Classification wizard: our classification guide shows you the pattern and drill classes available for your chosen base copper foils. Price guidance: on every option you choose, the smart menu informs you if there will be a slight cost increase or if the board is no longer poolable. If the board is not poolable then the price will be calculated on the basis of production panels containing only this board. Prices calculations always include a matrix showing alternatives based upon other more favourable quantities and delivery terms. You can also define your own price matrix to show your own preferred alternative quantities and deliveries. 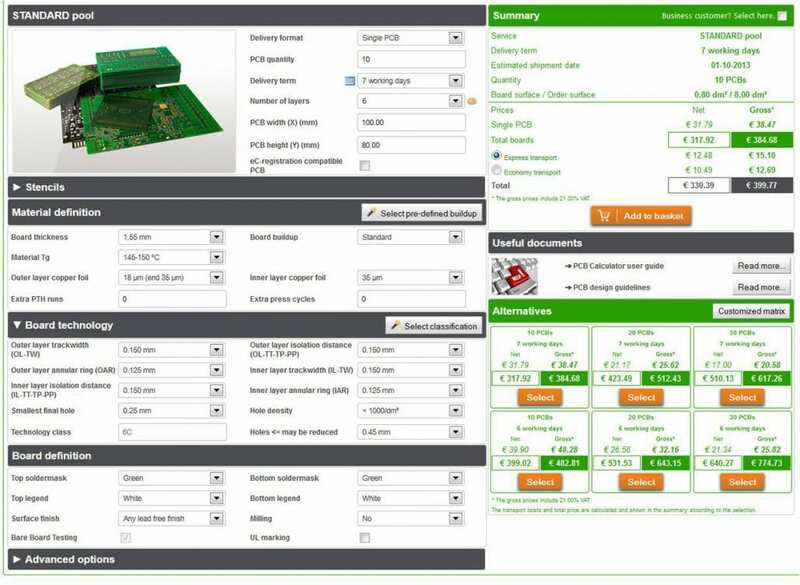 After you have finished your PCB Layout based upon the PCB design parameters you defined using our smart menus , you can load your PCB data into the shopping basket section of your account. Our PCB Visualizer software will then start analysing your data. A few minutes later you will be able to view your board on screen and see the results of the analysis. What can you discover? Panel editor: design standard or complex customer panels interactively on screen. PCB Checker: shows the results of the DRC analysis of your data against the order details. You can view all potential errors one by one and decide what to do in each case. PCB Checker also contains DFM functions including plating index, solder paste surface area, possible fiducials in a design, …. 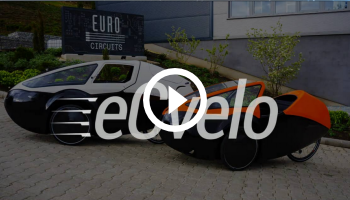 Our presentation takes a tour through all Eurocircuits” smart menus and PCB Visualization tools and shows how they can help you gain time, avoid misunderstandings and save costs by defining an ideal PCB design flow. The presentation is best viewed when you open the speaker notes and view them on a second screen. This can be controlled from the option button in the bottom left corner. 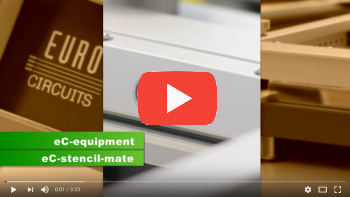 This film gives an overview of how to use our smart menus efficiently to determine your PCB layout parameters and how to then use PCB Visualizer to check your layout against your pre-set design values. You can always view this video in full screen mode by clicking the right symbol on the navigation bar and upgrade the resolution by clicking the setting symbol .